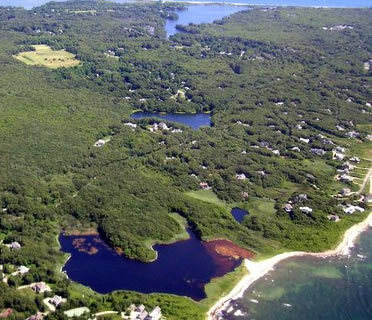 Tucked between Buzzards Bay and Sippewissett Road, on the south side of Gunning Point Road, are 28.6 acres of conservation land owned by The 300 Committee, a gift from the Peterson family in 1998. The parcel contains four major habitats — oak woods, an 11.2-acre tidal salt pond, freshwater wetlands and a vernal pool — and it abuts 800 feet of barrier beach on Buzzards Bay. Old stone walls snake through the woods. 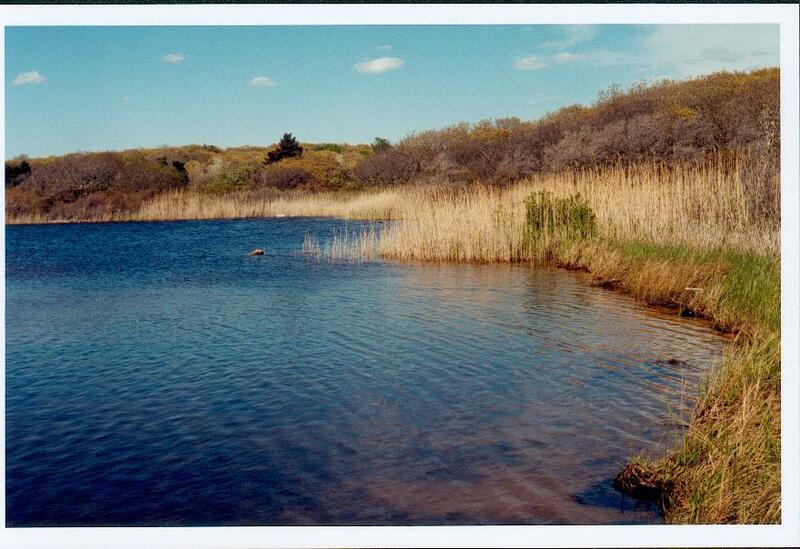 A conservation restriction, held by the Coalition for Buzzards Bay, protects the property. Although the Petersons did not want public access when they deeded the land to The 300 Committee, they later agreed to limited access. In 2012 the land trust created a trail that loops through the property. Captain John Peterson owned the famed Cape Codder Hotel, the large summer resort that stood on a bluff overlooking Buzzards Bay farther north on Sippewissett Road, and Peterson Farm, which is now town conservation land.